This week the UK enthusiast community practically pissed its pants as Blackpool Pleasure Beach finally confirmed a rumour that had been circulating for sometime - a Mack Multi-Launch (with LAPBARS) would finally be gracing the UK with its presence. 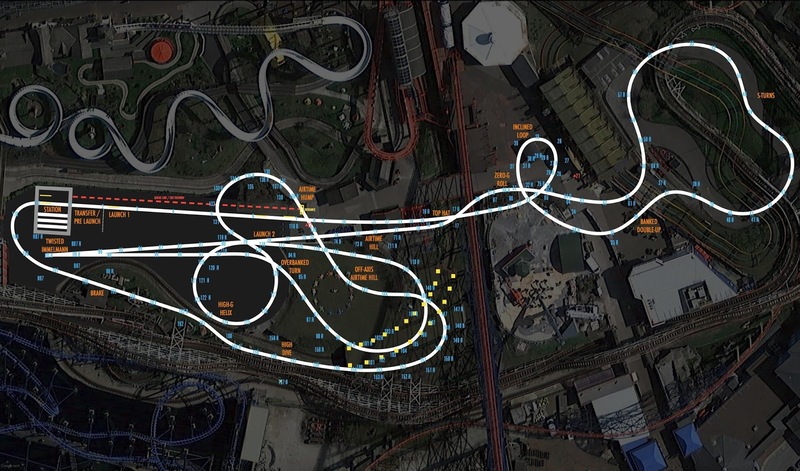 After 24 years without a new coaster, Blackpool Pleasure Beach have surprisingly gone ahead and tapped into one of the hottest and most beloved coaster types currently on the market. As I've gone on about on this blog before, Helix at Liseberg is one of my favourite coasters in the world and whilst I make no attempt at hiding my dislike of blue fire at Europa Park it is beloved by many a coaster fan, so for one of these awesome machines to finally be within driving distance is almost like a dream come true for us! So whilst the excitement simmered down and the initial OH GOD IT'S ACTUALLY HAPPENING wore off, the word 'gamechanger' was thrown around a lot. So I wanted to explore that a little bit. What's meant by a gamechanger here in the UK? Well, there are a few elements that tick that box from the Blackpool coaster for me. Firstly, it's the first time in a LONG time that the UK market has gone with something that's not a world's first, but is simply a tried, tested and proven to be awesome and beloved coaster type. It's definitely gamechanging that Blackpool went with something that will be a little more difficult to market, and should it be a success could easily pave the way for other parks to follow suit and lean a little less on the world's first element. Secondly for me, it's the lapbars. Most modern coasters are moving in the direction of lapbars where possible however I always felt that the current climate in the UK would mean it'd be a LONG time before we saw this type of restraint on any larger ride. The mark of a stepping stone for sure. Next, the size of the bloody thing. Recent larger investments, whilst some have been interesting and have brought different ride types to the UK such as THE SWARM at THORPE PARK Resort or Thirteen at Alton Towers Resort, haven't been on a large scale at all and are usually the smaller of their kind when compared with the rest of the world. Space of course is always an issue in the UK so it's great to see somewhere as constantly cramped as BPB gun for something with such a unique use of space, and to really maximise what was available. It's the kind of innovation and creative thinking that once made Nemesis possible and is so refreshing to see rear its head once again. Lastly, it's a step up from the smaller, independent parks to install something on such a scale. Usually it's the likes of the Merlin parks leading the way with the larger investments and the smaller parks doing what they can to keep up. It's amazing to me to see an indie park put out a true competitor, and I'm hopeful to see what those chain-owned parks will respond with. This for me is the biggest gamechanger of all, and hopefully we'll see a bit of a renaissance of parks trying to outdo each other year-on-year with bigger and better investments! The next 18 months are going to be interesting, and I'm looking forward to that North-West coastal skyline changing for the better!